KoopaTV: Why isn't Tri Force Heroes on the Wii U? People later learned that the Wii U could only handle one GamePad per system (up to two with severe consequences). This would prevent local multiplayer in the way Four Swords Adventures did it, but there would be multiple ways around it. Online-only multiplayer is something a lot of people are getting used to, or the GamePad could be controlled by whoever happens to be underground or whatever the reason would be for a certain Link to be on the lower-screen. Passing it around to people would be a great social experience and usage of the GamePad! Meanwhile, the Links would normally be controlled by the Wii U's wide variety of controller options, like Wii Remotes or Classic Controllers. 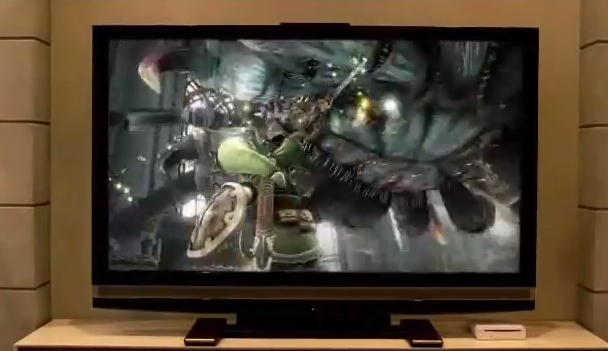 You know, this is actually a really huge TV screen if you compare it to the Wii U in the corner. Either way, it would be a better Wii U-defining experience than just being the first console that features Nintendo games in high-definition graphics with real-time non-obscuring maps/inventory change. 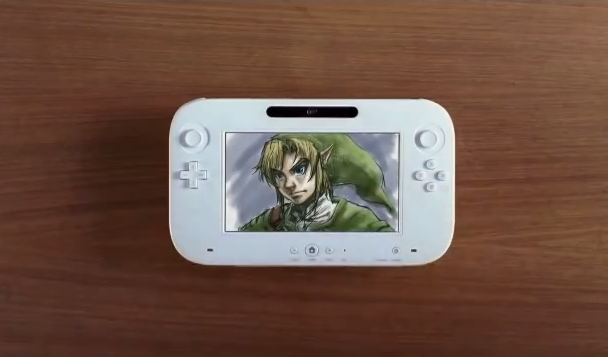 Which is exactly what Nintendo ended their 2011 trailer with, some five-second Legend of Zelda footage you can see a screenshot of above. Skip to 2015. There are no The Legend of Zelda games on Wii U besides an HD remaster, and... a spin-off that apparently has sold over a million copies, but I don't think it's compelling at all. 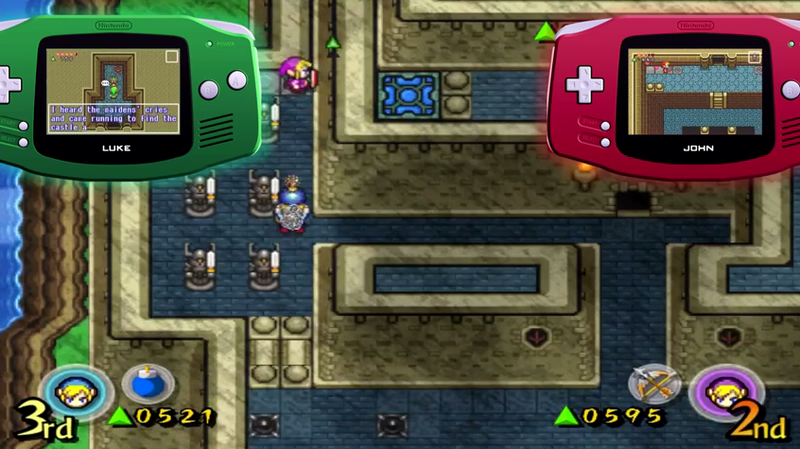 Nintendo announces The Legend of Zelda: Tri Force Heroes on the 3DS. It's pretty much the Four Swords series with three Links, because the 3DS can't handle four Links in local multiplayer. There is also a vertical height element with stacking Link upon Link, while Four Swords is top-down in formations. You could still do that height thing with four Links on a TV, or you could encourage the game design so one Link has to stand on a switch while a three-Link tower has to go through a path (thanks to the switch being stood on) and shoot an eye-statue that's conveniently three Links tall. It's endless! 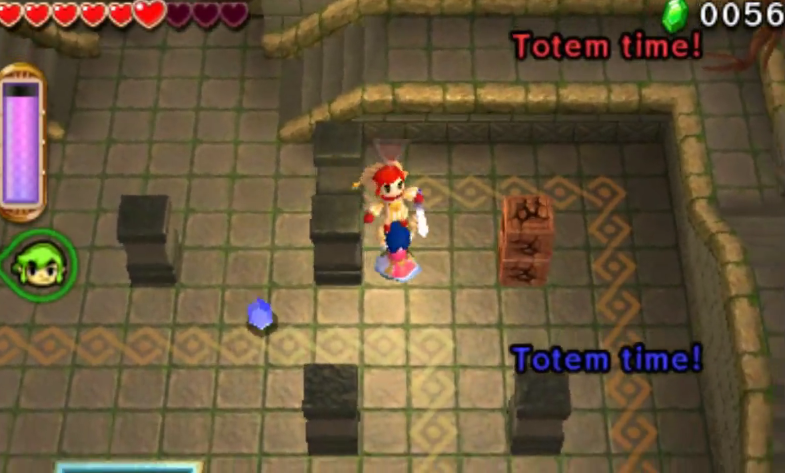 Four Swords Adventures had Tetris-piece-like formations, while this has TOTEM TIME! So... why does this game exist? I don't really know! Apparently the developers liked A Link Between Worlds and its graphic style so much (would still prefer Four Swords Adventures's) they wanted to do a multiplayer version of it. Couple that with system limitations but covering that up with a Triforce = 3 theme, and you get Tri Force Heroes. But why couldn't it just be on the Wii U and leverage the existing positive perception of the Four Swords sub-brand? Sure, it's what everyone expected, but even doing what's expected (and at this point it would be unexpected after four years) would be better for the Wii U than what's currently going on. Seriously, the Wii U needs first-party games that innovatively use the GamePad that make its existence worth it, gameplay-wise. (It's obviously worth it for making Miiverse a better place.) And Shigeru Miyamoto's garbage ideas on how to use the Wii U GamePad, like Star Fox Zero or his crappy E3 2014 projects that suspiciously weren't mentioned at E3 2015 ain't gonna do it. 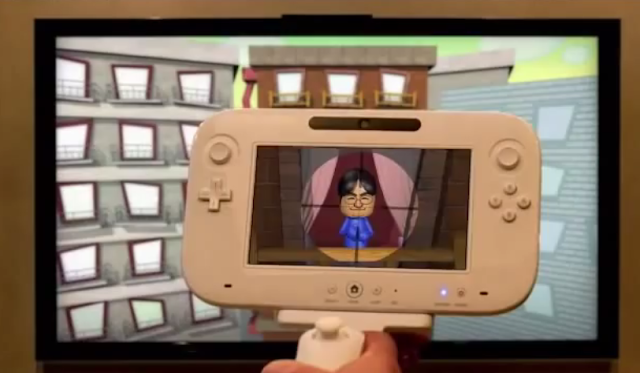 Miyamoto: "HANDS UP, DON'T SHOOT!" On second thought, given recent circumstances, maybe it's a good idea this game never came out. Ludwig has always wanted to play The Legend of Zelda: Four Swords Adventures on the GameCube with other people with Game Boy Advances. He was so close a few years ago at a videogame club, but it never materialised. He still wants that experience and still has his Game Boy Advance and GBA-GCN cable for that express purpose. 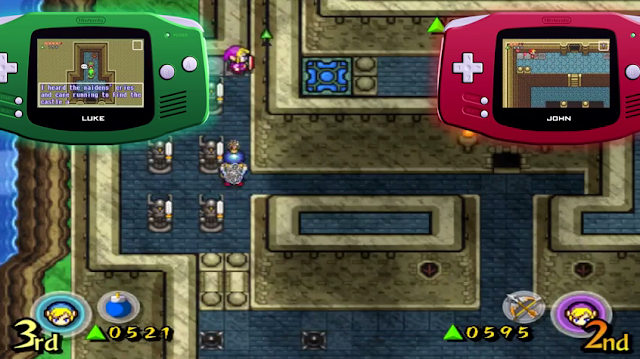 Tri Force Heroes can be played online or offline. Nintendo wants to give people the chance to play with their friends with free demo codes! People believe the next Nintendo home console's first-look trailer's games shown will be actual games, too. We'll see. 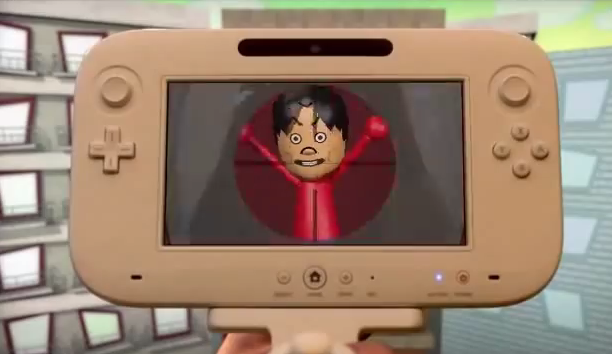 The backwards compatibility of the Wii U was critical to its asymmetric gameplay goals.